Company:FIne handling & Automation Pvt. 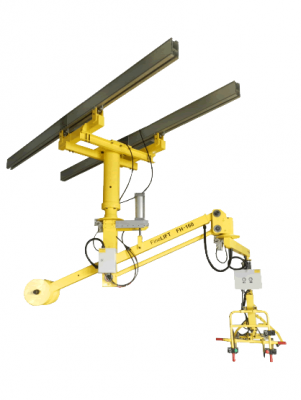 Ltd.
Fine Handling and Automation is a leader in the design and manufacture of manipulators with vast experience and an extensive customer list. Manipulators with customized grippers are very helpful for various material handling needs on assembly lines, machining shops etc., where lifting, positioning, orientation change of the component is critical. It works on zero-gravity principle i.e. a balancing cylinder nullifies/balances the weight of the component, so that operator can lift and handle the weight with almost zero efforts.